This entry was posted in inspiration, News and tagged charity, dementia on June 23, 2018 by becky Lewis. An inspiring, revolutionary, call to action.. was my plan for today’s blog for #internationalwomensday. However, I’ve been struck with the lurgy all week and just getting out of bed has been enough of a challenge. My son said to me last week that a girl was picking on him and telling him “girls are better than boys”. My reply to him was “of course they are”. Which he got very upset about and pointed out to me that girls and boys are equal. In the early years of primary school they are and then…. Lets hope his generation go on believing and proving they are equal – at work, in sport, in relationships, in the UK and across the World. Lastly i’ll leave you with Hurrah for Gin who usually get my mood spot on.. 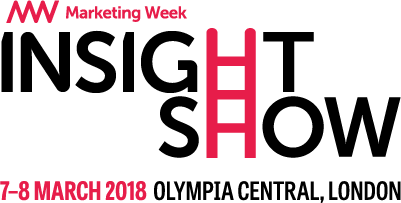 I will be joining fellow ICGers on ethical Showcase Stage on Wednesday 7th March at the Insight Show to talk about the rise of micro-businesses and how they’ve contributed to market insights and business growth. This entry was posted in Insight conference, News and tagged conference, Insight, micro-business, Neighbourhood Plan, the insight fountain on March 5, 2018 by becky Lewis. Pirton Neighbourhood Development Plan 2011-2031 has passed the examination and the referendum will be happening shortly! The Neighbourhood Plan – Passed Through NHDC Cabinet 23rd March 2018. The Referendum on the Pirton Neighbourhood Development Plan 2011-2031 will be held on Thursday 8 March, in Pirton’s Village Hall between 7am and 10pm. This entry was posted in News and tagged Examination, Neighbourhood Plan, Pirton, referendum on February 13, 2018 by becky Lewis. I’m reading an interesting report published by IPSE / Kingston University and am delighted that I am one of these people in this graphic.. I have found over the four years of freelancing that i have built up an amazing network of other freelancing / small business mums.. Currently i have two jobs for freelancing mums and am working on proposals with two more.. I wonder if this rise suggests that employers are not doing enough to allow for flexible working around primary age kids..
Or whether we all just love working at night.. This entry was posted in News on October 17, 2017 by becky Lewis. Exciting week for me in my role as a tutor for The Research Academy. I met the new Autumn 2017 MRS Advance Certificate students at the beginning of the week and we had a good session about proposals and getting them started on their course work. And the week has been rounded off by finding out the results for the Spring 2017 MRS Advance Certificate students. A pass rate on the exam of 84% which is above average and included 9 students who got Merits. 3 students got Merits for their course work. Feeling very proud to be helping the next generation of researchers get an excellent grounding in research methods and practice and I look forward to seeing where they go from here. This entry was posted in News on September 22, 2017 by becky Lewis. because i AM a girl.. and because this girl can..
I’ve had a great start to 2017 which some interesting projects, great clients and an exciting non-work project on the go. I feel privileged to have had a supportive family my whole life who ensured i had a great education, an interesting career and encouraged me to go it alone 4 years ago and set up The Insight Fountain. But not all girls around the work have equal access to education, human rights and even in the UK there is gender inequality in pay, domestic violence and poverty that disproportionately effects women and their children. What can you do today to reduce that inequality? What can you do today to be an inspiring female role model? This entry was posted in inspiration, News and tagged inspired, international woman's day on March 8, 2017 by becky Lewis. 2016 has been a good year for The Insight Fountain with fab jobs for clients old and new (even if the rest of the world feels like its falling apart). Heres to a happy and healthy 2017 for friends across the world. This entry was posted in News on December 22, 2016 by becky Lewis. Having seen the effects of dementia on friends and family, I want to do something to help raise funds for research. I’m trying to run 100km this summer. Not all in one go but a bit each week. Because there isn’t going to be a cure over night – it will take time. And because for people living with dementia there isn’t a quick fix. They and their families live with it week in week out. So I’ll keep running week in week out until I hit my fundraising goal.. This entry was posted in News on July 29, 2016 by becky Lewis.